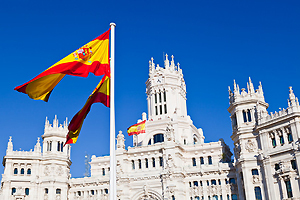 The next annual meeting of the Tax Representative Alliance (TRA) will take place in Madrid, Spain, in March 2015. The meeting will be organized by the Spanish TRA member, TAXPARTNERS. After the first meeting in Paris (France) in 2013 and the second meeting in Regensburg (Germany) in 2014, the third meeting in Madrid in 2015 will be the further base for developing the cooperation among the participating companies and for upgrading the structures. Madrid is the capital of Spain and its largest city. The population of the city is roughly 3.3 million and it is the third-largest city in the European Union, after London and Berlin. The city is located on the Manzanares River. As the capital city of Spain, seat of government, and residence of the Spanish monarch, Madrid is also the political, economic and cultural centre of Spain. Also the Spanish TRA member, TAXPARTNERS, is headquartered in Madrid. While Madrid possesses a modern infrastructure, it has preserved the look and feel of many of its historic neighbourhoods and streets. Its landmarks include the Royal Palace of Madrid; the Royal Theatre with its restored 1850 Opera House; the Buen Retiro park, founded in 1631; the 19th-century National Library building (founded in 1712) containing some of Spain’s historical archives; a large number of National museums, and the Golden Triangle of Art, located along the Paseo del Prado and comprising three art museums:Prado Museum, the Reina Sofía Museum, a museum of modern art, and the Thyssen-Bornemisza Museum, which completes the shortcomings of the other two museums. Cibeles Palace and Fountain have become the monument symbol of the city.